AvalehtLive-ülekannePokkeriturneede nimekiriWSOP2013 World Series of PokerEvent #15: $1,500 H.O.R.S.E. Tom Schneider - 1st Place. 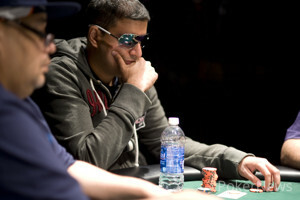 Tom Schneider captured his third World Series of Poker gold bracelet, defeating Owais Ahmed in a short heads-up match. Schneider topped a field of 862 runners to add a H.O.R.S.E. bracelet to the ones he won in Omaha/Seven Card Stud Hi/Lo Eight or Better and Seven Card Stud Hi/Lo Eight or Better. Coming into Day 3, Schneider ranked fifth in chips with 21 players remaining. He continued to hover around the top stacks for the majority of the day, and he all but assured his victory with this hand, which vaulted him from simply the chip leader to having more than 80 percent of the chips in play. Both of his opponents were left with just a handful of big bets after that, and it was only a matter of time before Schneider finished them each off. On the final hand Schneider made a seven-five in Razz to eliminate Owais Ahmed, who will pass the $1 million mark in recorded tournament cashes. Schneider, the 2007 WSOP Player of the Year, will add $258,960 to a career winnings tally that already exceeds $1.7 million. 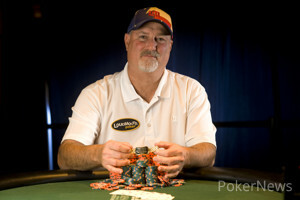 He topped a final table that included bracelet winners Ahmed (one), Frankie O'Dell (two, finished fifth) and Rep Porter (two, finished fourth). Owais Ahmed - 2nd Place. Schneider tossed two red chips in on seventh to match Ahmed's last two, and Ahmed called. Schneider showed for a seven-five. Ahmed turned over his cards briefly, but he couldn't beat Schneider's hand, and we didn't see them before the dealer swept them into the muck. "We Could've Had Some Fireworks"
Tom Schneider pushed forward the bring-in bet showing a , and Owais Ahmed completed with his . Schneider called, and Ahmed bet out on fourth street after being dealt the . Schneider, who had received the , called. On fifth street, Ahmed again bet after adding the to his board. Schneider received the and folded. After he folded, Schneider said he started with 3-4-6. Ahmed then showed an a hidden ace and deuce. Schneider remarked that with those starting cards, "We could've had some fireworks." Heads up has been slow going so far, with almost every pot either being a walk or a raise-and-fold. Owais Ahmed raised, and Tom Schneider called. Schneider check-raised a flop, and Ahmed reraised all in. Schneider called. Ahmed's hand held to ensure his double. Viatcheslav Ortynskiy bet out on fifth street showing , and Tom Schneider raised showing . Ortynskiy called for the last of his chips. When all the cards were out, Schneider had for two pair and no low, and Ortynskiy had for no low and a pair of eights. Schneider scooped the pot, and Ortynskiy has been eliminated. He will receive $108,701 for his third-place finish. Tom Schneider completed the bet with , and Owais Ahmed called from the bring-in with . Ahmed called a bet on fourth street with after Schneider caught . Ahmed then led out after he got a on fifth, but Schneider called with . Schneider then fired sixth and seventh. Schneider had a six-low and a pair of tens, and Ahmed couldn't beat either. Two-time bracelet winner Schneider now appears poised to add number three, as he has a vast majority of the chips in play. Owais Ahmed has been cleared to play by the medical staff, and the floorman has restarted the clock. Cards are once again in the air, but hopefully not flying at the players too fast! 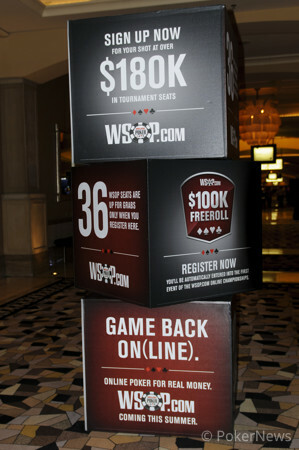 Jack Effel congratulates Tom Schneider, winner of WSOP Event #15: $1,500 H.O.R.S.E. 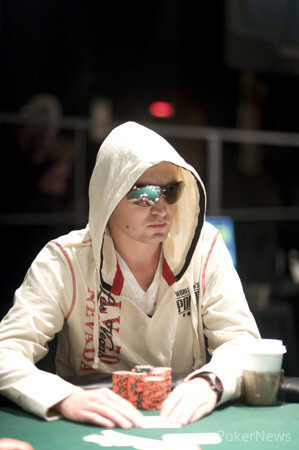 Tom Schneider, winner of WSOP Event #15: $1,500 H.O.R.S.E. 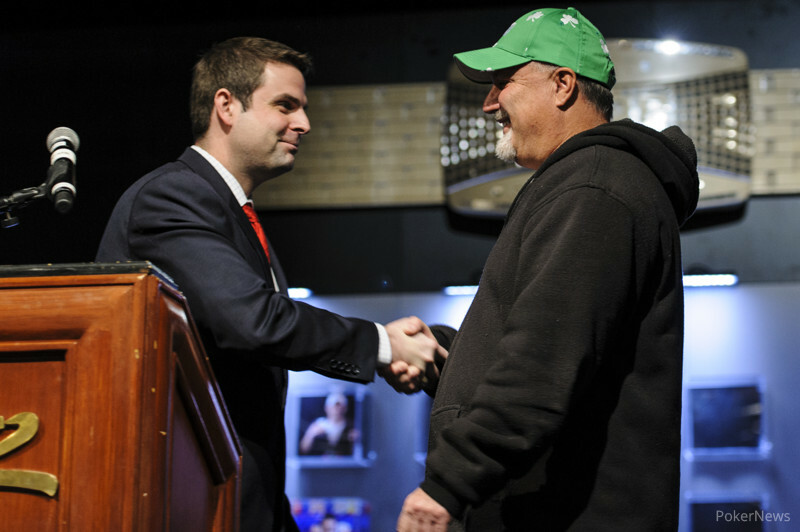 Jack Effel presents the gold bracelet to Tom Schneider, winner of WSOP Event #15: $1,500 H.O.R.S.E.